Canine Companions for Independence, the nation’s oldest and largest assistance dog organization serving people with physical disabilities, announced Austin & Williams President Eva LaMere is joining the nonprofit’s Northeast Region advisory board. 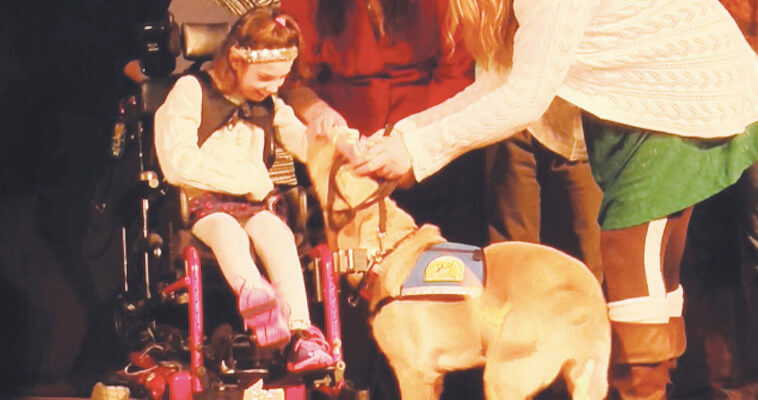 “I’m truly excited to make meaningful contributions and support Canine Companions’ mission of providing highly trained assistance dogs to children, adults and veterans with disabilities,” she said. As president of Austin & Williams, Eva is responsible for leading the company’s day-to-day operations, including directing brand strategy for key accounts, developing and fostering talent, and driving business growth initiatives. Eva also donates her time and the agency’s talent to several local nonprofits. She and her husband have five grown daughters and two dogs. Canine Companions for Independence is the largest nonprofit provider of trained assistance dogs with six regional training centers across the country, including California, Florida, Ohio, New York and Texas, and has placed nearly 5,000 assistance dogs. Established in 1975, Canine Companions provides highly trained assistance dogs to children, adults and veterans with disabilities and is recognized worldwide for the excellence of its dogs, and the quality and longevity of the matches it makes between people and dogs. There is no charge for the dog, its training and ongoing follow-up services. For more information, visit www.cci.org or call 1-800-572-BARK.